Traci is certified as a Family Law Specialist by the State Bar of California Board of Legal Specialization. She graduated from Santa Clara University in 2000 and was admitted to the bar in December of that year. During her tenure at Santa Clara, she was the Sr. Technical Editor of the Computer Technology Law Journal and received a Certificate of Excellence in Legal Research and Writing. After graduation, Traci was recruited by a top corporate law firm. She worked at Gray Cary (now DLA Piper) from 2000 - 2002 as a securities and corporate transactional attorney. She was involved in complicated tax issues, mergers & acquisitions, and securities filings. Although Traci was recognized as one of the best in her recruitment class, she missed the personal satisfaction she had hoped to gain as a legal advocate. In 2002, Traci moved firms and began practicing exclusively in the field of family law. After practicing in this field for almost 5 years, she founded Mello & Pickering, LLP with her colleague and close friend, Jennifer Mello. Traci loves being a family law attorney. What sets her apart from other family law attorneys is her first-hand knowledge of the issues concerning blended families. Her personal experience and the awareness of the legal challenges involved motivated Traci to continue her pursuit of family law. Traci is committed to providing excellent client service. She works hand-in-hand with her clients, informing them of their various legal options, leaving no stone unturned, as well as doing what it takes to get them the results that they deserve. Traci has exceptionally strong negotiation skills and is known to settle entire cases in a few hours. Traci is further committed to taking an ethical approach to each unique family law situation. 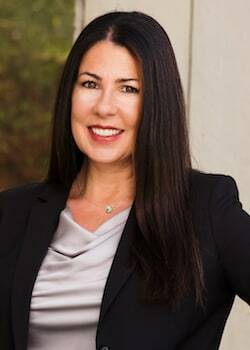 She practices all areas of family law, including stepparent adoptions, legal separation, mediation, annulment, divorce, alimony/spousal support, child support, child custody, child visitation, domestic violence, modification of prior orders, paternity, postnuptial agreements, prenuptial agreements, and property valuation and division. Prior to earning her J.D. from Santa Clara University, Traci received her B.A. in History with honors at San Jose State University. She is an active member of the Santa Clara County Bar Association, a member of the Family Law Executive Committee of the Santa Clara County Bar Association, and is admitted to practice law in the State of California. Traci has lectured as part of the continuing legal educational process. Traci is married and has three children. For your free 20-minute initial telephone consultation with Traci Pickering, call her at Mello & Pickering, LLP at (408) 288-7800.